Papi Delbard. A climbing rose from the rose breeder Delbard who creates terrific Garden Roses. Please see page on Delbard Roses under Resources. 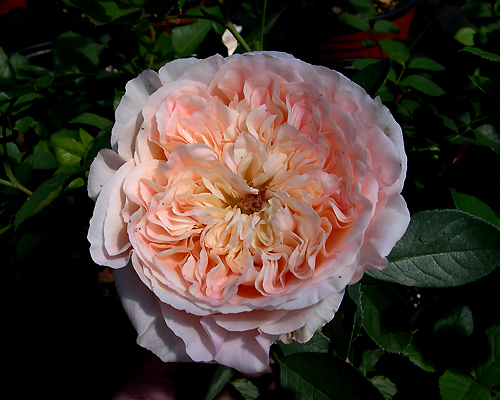 A great source for Garden Roses are mail order rose nurseries. There are many good ones, owned and staffed by dedicated rose lovers who know the roses they grow and sell. They give good honest information and will take the time to answer your questions. You’ll be amazed at the huge selection they offer. The best way to find them is to get on the internet, search around and then ask what others think about them. Many Independent Garden Centers in your area are also great sources, so take the time to visit them. Most likely they will have someone who grows the roses they sell. After you view the video we suggest you go to Part 6 of Roses 101.